Gabriel S. Sanchez is Senior Research Fellow and Adjunct Professor at the International Aviation Law Institute. 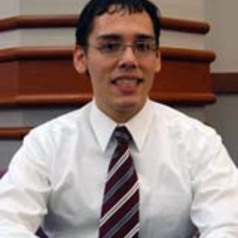 Sanchez, who graduated from DePaul University College of Law in 2007, previously served as the Institute’s FedEx/United Airlines Resident Research Fellow. He is a former editor of the DePaul Law Review. During his time as a law student, he was a Sullivan Fellow at the International Human Rights Law Institute and a research fellow for the International Weapons Control Center. Sanchez’s research areas include bilateral and multilateral air transport agreements, airline alliances and mergers, and airline ownership and control rules.